On Sunday 51.5% Turkish voters in a referendum agreed with Turkish president Erdogan’s proposal to make constitutional amendments that would scrap the country’s parliamentary system, including the office of the prime minister, in favour of a presidency with expanded powers. “There is no loser in this referendum, but only one winner: Turkey and its noble Turkish people,” said prime minister Binali Yildirim who will loose his job as result of the referendum. 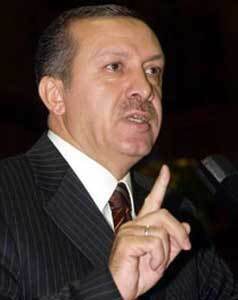 The secularist opposition parties, Crypto-Jew dominated military establishment and the western media campaigned against the amendments claiming that it would give more powers to Erdogan who seems to be drifting away from the Judeo-Christian Western anti-Muslim block. The reality is that those dreadful amendments still fall short of the executive powers an American president carries. The thin majority victory doesn’t bode good for the ruling AKP and its Islamist based popularity. It would accelerate Israeli agenda of installing fifth pro-Israel Kemalist military dictatorship with the help of the US and EU. France-based Council of Europe, a Zionist-controlled human rights watchdog fired first shot on Sunday by demanding that Turkey’s judiciary must be independent. “It is of utmost importance to secure the independence of the judiciary in line with the principle of rule of law enshrined in the European Convention on Human Rights. The Council of Europe, of which Turkey is a full member, stands ready to support the country in this process,” Thorbjorn Jagland (Jew), secretary general of CE said in a statement. Ironically, the idiot never criticized the Zionist regime for its mass abuse of human rights against Palestinians and African refugees. The judiciary in United States is not independent in practice either. All senior state judges are appointed by state governors while Supreme Court judges are appointed by the White House. The current nine judges at the US Supreme Court include three Zionist Jews and six Christian Zionists while country’s largest religious minority (Muslims) has no voice at the highest court. Iranian foreign minister hailed the outcome of the referendum. Belarusian President Alexander Lukashenko congratulated his Turkish counterpart Recep Tayyip Erdogan on successful constitutional referendum . If everything goes well, Turkey will become a Presidential Republic in 2019.